One of our visitors, specialist wine guide and artist, Janet Malherbe, sent us this photo of a painting of the hoenderhok that she made while visiting Babylonstoren some years back. 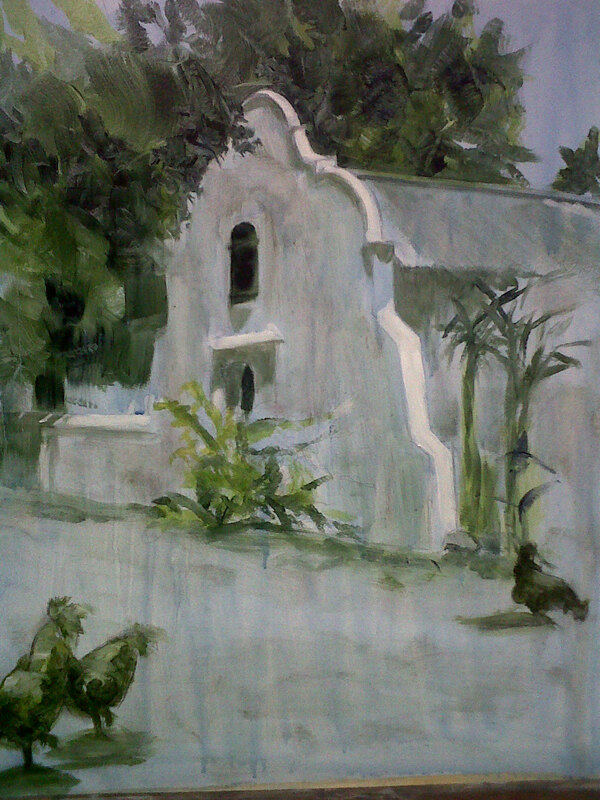 During the time when the Louw family owned Babylonstoren, the buildings near the hoenderhok was used for wine tastings. Of course, things have changed over the years, and now our hoenders now have a totally different hok, but this farm is steeped in history, and we love hearing from people who’ve known and loved Babylonstoren over the years. Click here to read more about the history of Babylonstoren. I would like to know if the Louw family was the first owners of the farm please? The Sadie family use to be in that region. Hi Elizabeth, the van der Byl family were the first owners in 1692. Johannes Louw bought the farm in 1735.